On Christmas Eve, the last thing I want to be worrying about is my skin! 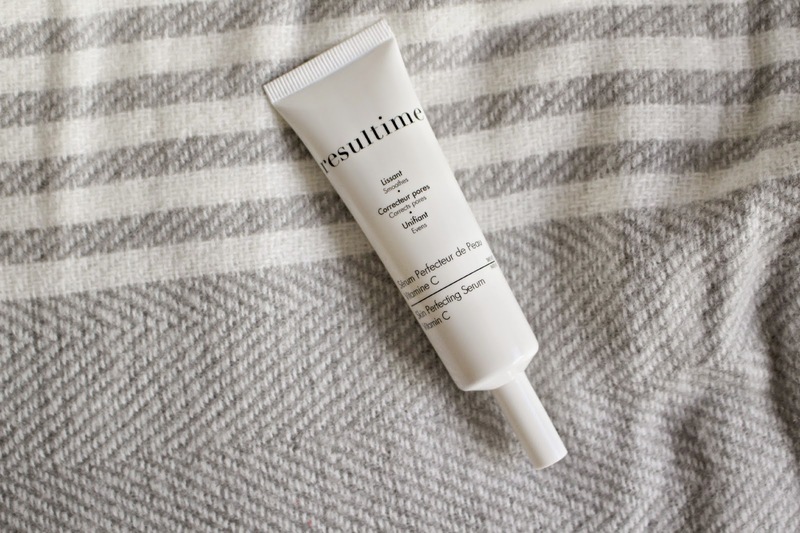 Luckily, I’ve recently been trying out the Resultime skin perfecting serum, which literally does as it says on the tin! Bringing the life back to my dull skin after a week of late nights and unhealthy extravagances, I’ve been applying the serum before my makeup. It creates an ideal base for makeup, and also tightens pores with the Micro-Collagen ingredients. It’s quick to be absorbed which is perfect for when you don’t have time to prolong your makeup routine (duh, there’s presents to unwrap! ), the gel/cream texture is almost immediately absorbed, and instantly peps up my complexion. For a serum, there’s quite a lot in the tube which makes the £46 price tag a little easier to take. I’ve been using every morning for the whole month, and it still feels almost full. As well as smoothing and stimulating the skin, the serum also has a lovely delicate fresh fragrance – just like the other products in the range. My skin always feels like it’s being well fed when I use products from this brand, I’ll still always recommend the Resultime Regenerating Collagen Gel for your holiday makeup bag, it’s skin renewal powers work wonders on sun damaged skin (Review here). The serum is £46 and available from the Resultime website here. Have you tried anything from Resultime yet? Previous Post Keeping Fit when It’s Chilly! Next Post Fashion Mumblr 2014 Blog Survey & Giveaway!